The West Coast General Hospital is taking steps to make itself more accessible to the community’s more vulnerable, including First Nations patients who struggle to get the services they need, according to its chief of staff. Dr. Sam Williams spoke of the hospital’s ongoing efforts during a panel discussion on mental health Wednesday, part of the NTC’s Disability Access Committee’s Health-Ability Fair. 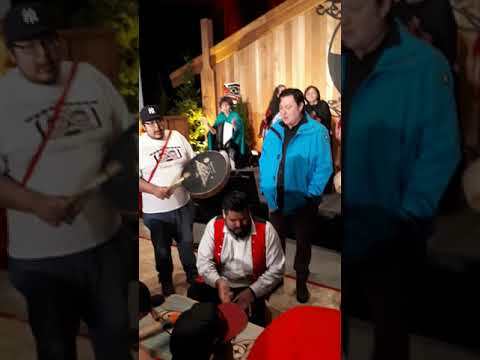 During the discussion Andy Callicum, vice-president of the tribal council, commented to the guest panel that many Nuu-chah-nulth people are having difficulty connecting with the medical support they need – particularly with respect to mental health issues. “There needs to be some sort of extra help in there, people in place that could help go with people to doctor’s appointments and advocate for their client,” he added. Stan Lucas, who is a member of the Hesquiaht First Nation, said that he never got the help he needed from Port Alberni’s hospital since he was hit by a car two years ago. Feeling the effects of a concussion, Lucas said he went to the emergency ward several times, but didn’t receive treatment due to the department being full. Williams stressed that additional support is now available through a nurse practitioner who can function as a physician. With additional training and experience, a nurse practitioner can automatically diagnose and treat illnesses, as well as order and interpret tests, prescribe medications and perform medical procedures. The long-term effects of traumatic experiences during childhood were discussed, an issue that affects Aboriginal communities more than previously believed, said Courtney Defriend, Ti’yuqtunat, regional manager for the First Nations Health Authority. “Arthritis and diabetes, those are directly related to traumatic experiences,” she said. “The first thing that people need when they experience trauma is safety,” added Margaret Bird, a psychologist working with the Quu’asa program. Linus Lucas commented to the panel that he saw the impact of residential school in his father while receiving medical treatment in a hospital. The Hesquiaht member said his parents broke this cycle by relocating when he was young. The West Coast General Hospital’s nurse practitioner can be reached at 250-731-1313, then by pressing option 3. Dr. Sam Williams, chief of staff at the West Coast General Hospital.